This topic contains 7 replies, has 5 voices, and was last updated by Jeaunice Tribue Burnette 16 hours ago. Though I have been a Buddhist for four years, I have just begun exploring different traditions. Since then, I have been deeply involved with Pure Land but have had a huge interest in Nichiren. My dilemma is, which one do I choose? Both appeal to me and I most certainly know they are mutually exclusive. Any suggestions? Why are they mutually exclusive? I’m not convinced that any two things are mutually exclusive. I could be sitting here in this chair, chanting the Nembutsu as I write, and I could be amazed at how my appreciation of the Lotus Sutra is growing! Namo Amida Bu! Yes, it’s an interesting question Shoyo – what is your experience of practising both? 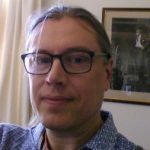 I know Honen & Nichiren didn’t get on in their day, but as Andrew said I don’t see that there’s a mutual exclusivity – I know that one of our sangha members Rob has recently had a spiritual experience after reading the Lotus Sutra. Do say more if you can… Namo Amida Bu. My research has shown that both schools teach a single practice in order to attain Enlightenment (Nam myoho renge kyo for Nichiren and Namu Amida Bu for Pure Land). Also, both have divergent views on when one attains Enlightenment. Nichiren taught that Enlightenment can occur here in this life while PL teaches that one can reach Enlightenment in Amida’s Land. Now that I completed 30 Day Nembutsu, I have decided to stay with Pure Land. I practiced SGI Nichiren Buddhism for four years. It stressed the exclusivity of attaining enlightenment by chanting Nam myoho renge kyo, so I don’t understand how one can practice both. Nichiren wrote a number of Gosho (The Writings of Nichiren Daishonin) that condemned the Pure Land. (Yeah I know it sounds funny: I learn from Christianity and Pure Land, but don’t see how one can practice both Nichiren Buddhism and Pure Land?) The only reason why I don’t think its possible to practice both, is because their approach to enlightenment are so vastly different. However a Pure Land Buddhist can of course read the Lotus Sutra and appreciate it’s teachings. The Lotus Sutra came before Nichiren’s interpretations, so any Buddhist can read the Lotus Sutra. Yet I believe it may not be possible to belong to a Nichiren school and recite nembutsu. I have long understood that my heart belongs to Amida. My exploration into Nichiren Buddhism was more a desperation to practice with a Sangha, but it was a memorable experience to say the least. Well those are my two cents. Thanks for listening. From an SGI Nichiren Buddhist perspective the relationship is one tapping into your connection to the mystic law/ Buddha Nature inherent in our being, Through this “Determination” to live your life through coming into harmony with this it is hoped that insight, wisdom and an indestructable self will be manifested. There is a definate self power in that chanting the Daimoku ( Nam Myoho Renge Kyo) will allow a person to tap into this inherent power and an other power aspect is that this power works in a “Mystic “ way, ( a way difficult to understand ) Faith in this sense means trust that you “ ARE” indeed Nam Myoho Renge Kyo. People chant about specific problems and obstacles and as the thinking mind settles there is indeed new and broader perspectives that arise. However it can be difficult to feel a connection or relationship, there is a need for gentleness and surrendering of self with a realisation that we are loved “just as we are” The feeling is different, how can we change ourselves with the very self that has so many strong karmic patterns and narratives. It seems there is a real difference in feeling. 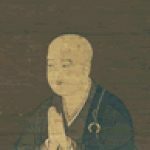 Nichiren Buddhism: Chanting with the purpose of breaking through obstacles by tapping into our inherent Buddha Nature. When chanting the Daimoku our Buddha Nature arises.Chanting allows the conditioned mind tonsettle to tap into wisdom and other ways of responding approaching “problems”, our filter changes. Pure Land Buddhsim : Chanting to keep Amida in mind (fully) Amida is expressing through us, all is already done. We are “loved as we are “ Chanting to express gratitude. Realising that fundamentally it is difficult go change pur conditioned nature. Surrendering, offering the self as is. Love and compassion.Connecting to Amida allows the self to “give ip control” find refuge and as a byproduct there is change, softening and growth in unexpected directions. For me they really don’t feel like overlapping or complementary practices, certainly in terms of chanting and the feeling quality and motivations to chant. In my own understanding, self-power practices also take us towards other-power, as we have a very deep experience of our limits. Dharmavidya writes of Zen & PL as like opposite ends of a tunnel that lead to the same place. Maybe the only way to find out is to keep practising?? Namo Amida Bu, sending blessings from here. I’ve been thinking for a while now, and I am starting to see that I was rigid in my thinking. It doesn’t have to be black or white. We can learn and grow from studying the BuddhaDharma, as expressed through the various sects. I am primarily a Pureland Buddhist, but I’ve decided to have an open heart. Thank you Wayne and Satya for this engaging discussion.